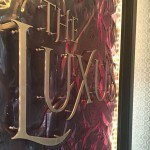 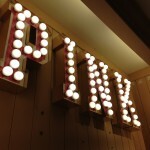 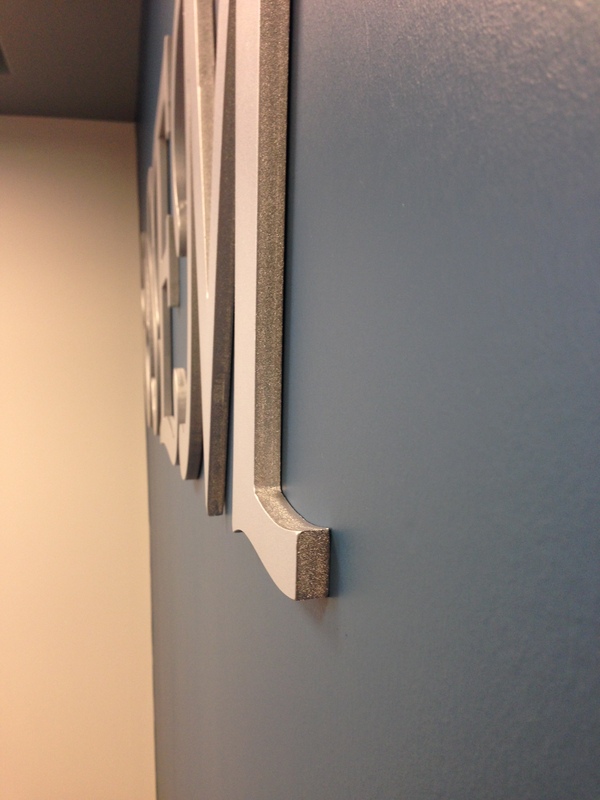 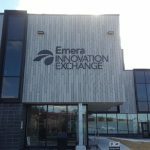 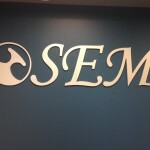 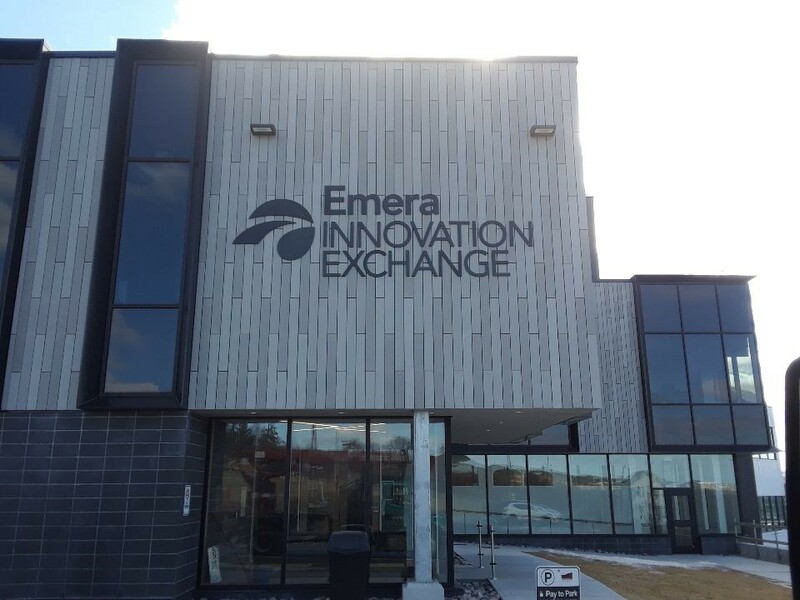 3D Mounted letters — Let us help you stand out! 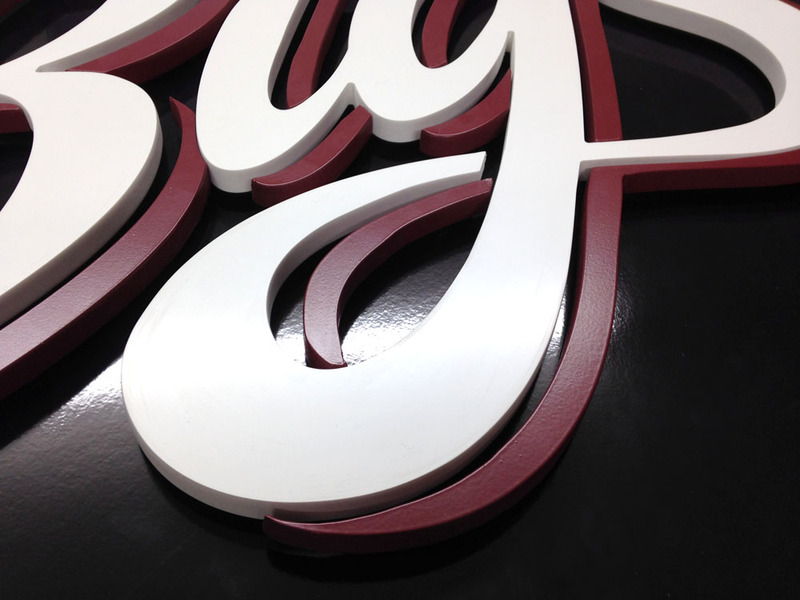 3D mounted letters are an ideal way to draw attention to your business in your neighbourhood. 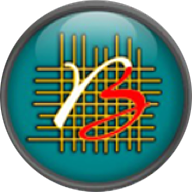 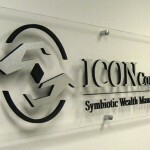 They create a look of professionalism that is sure to set your business above the competition and attract new business. 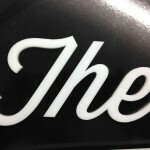 We manufacture our own custom letters in our manufacturing facility with a computer controlled router and then painted in our state of the art paint booth. 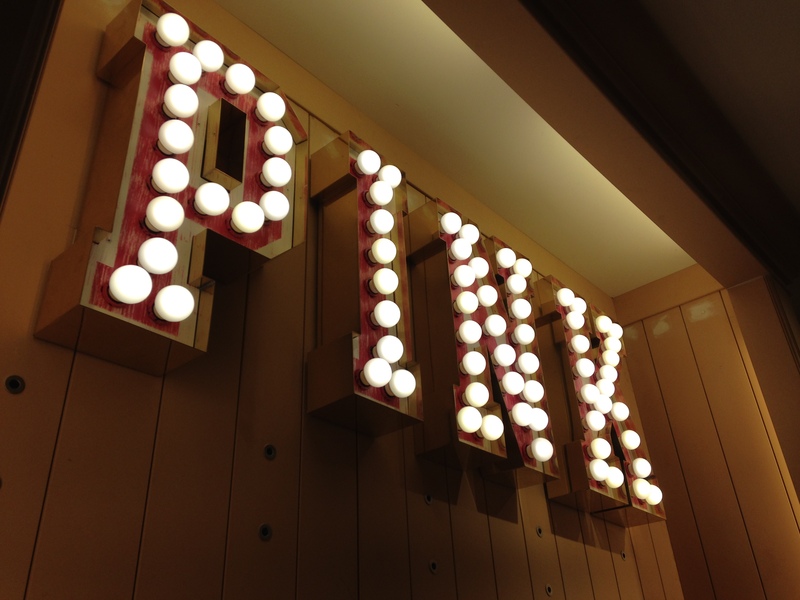 This means that colour and design options are virtually limitless. 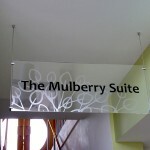 The letters may be fabricated from PVC, metal, acrylic or plastic. 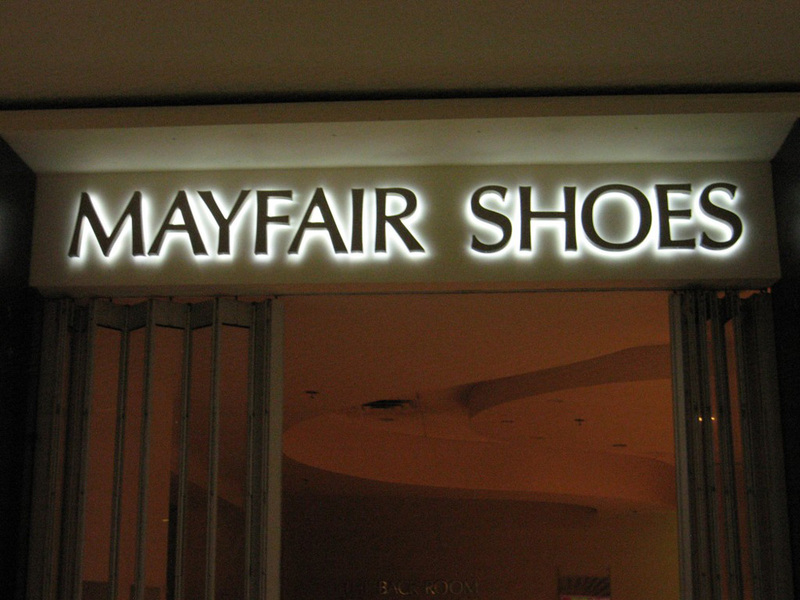 3D mounted letters can also be illuminated such that the front face lights up or may be illuminated to create a glow behind the letters. 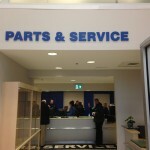 Both options look great! 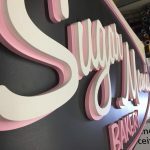 Illuminated or non-illuminated 3D letters may be mounted flat against the wall or they can be raised from the surface for extra depth and dimension, again the possibilities are endless. 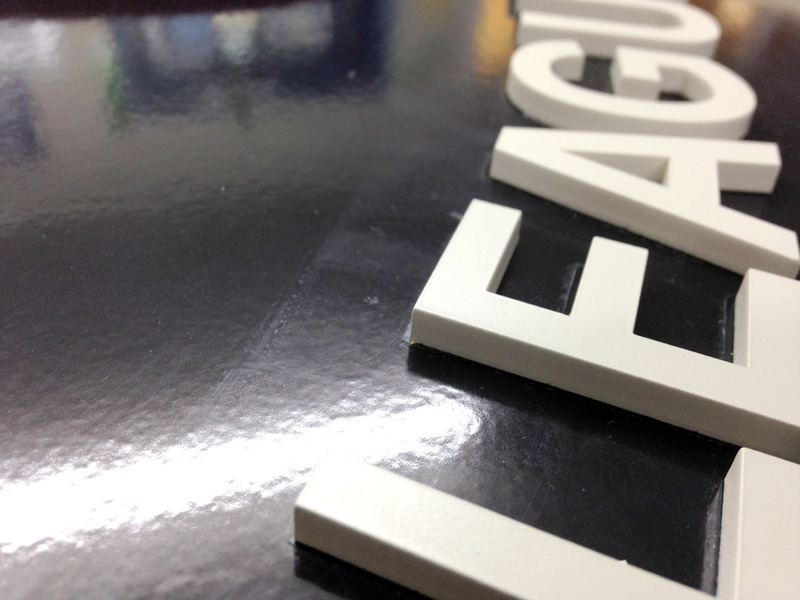 Acrylic is a highly durable, UV resistant plastic that is well suited to indoor and outdoor signs. 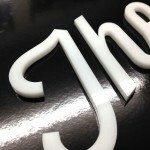 Furthermore, it can be laser cut or CNC routered to virtually any shape and the edges polished to crystal clear. 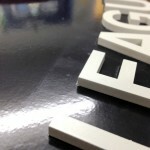 It is waterproof, mold proof, and weather resistant. 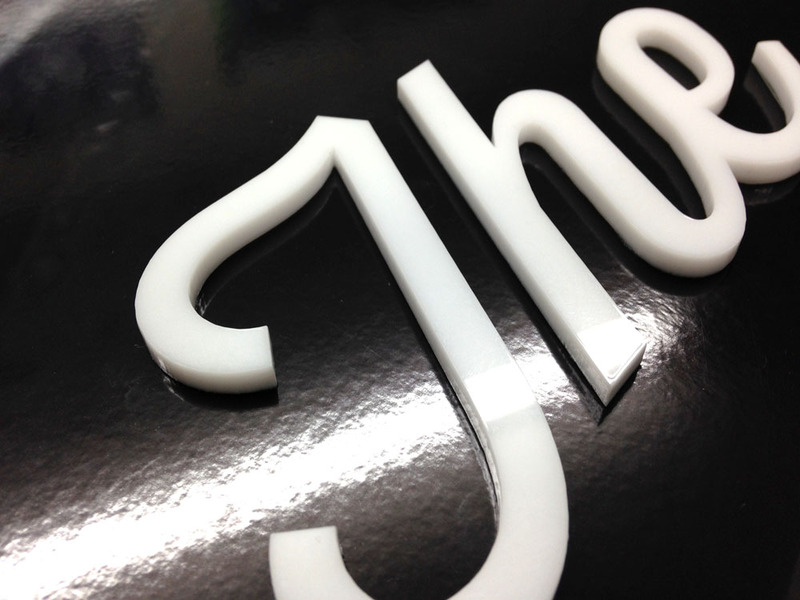 As well, it is available in a wide display of colours, sizes and thickness. 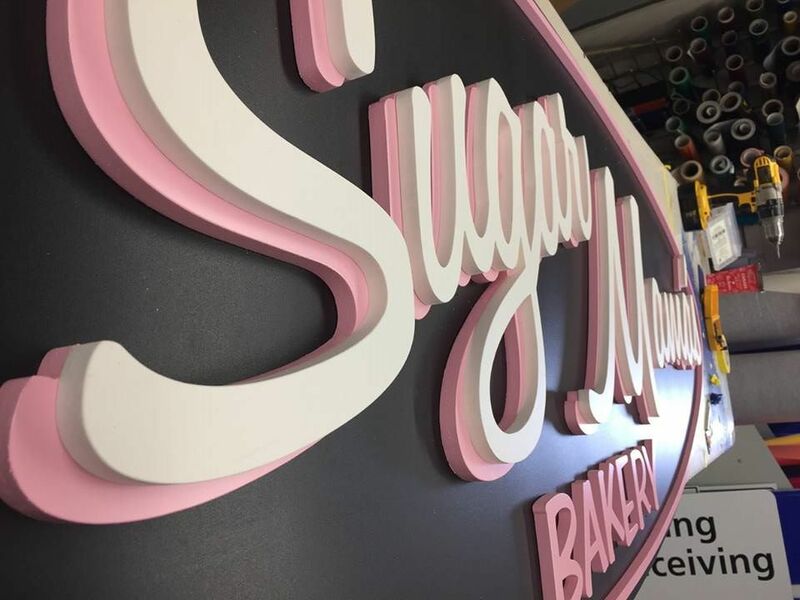 Acrylic is an excellent surface for vinyl application as well as paint, making the possibilities for your custom acrylic signs almost endless. 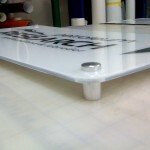 For versatility, acrylic signs are difficult to beat. 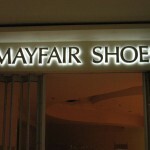 They are extremely affordable, durable and sleek. 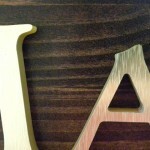 Also, the glossy finish adds and extra touch of sophistication to any interior space. 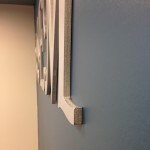 Alternatively, you can have your acrylic frosted for a unique modern look. 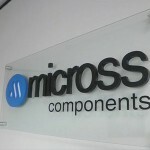 Acrylic signs can be used as part of any interior office way finding system with a sleek professional look and feel. 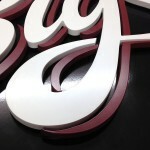 The versatility of acrylic signs is truly amazing. 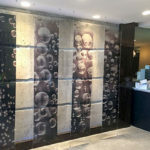 They can be suspended from the ceiling, mounted flush to a wall or mounted with stand-offs for extra depth to any design. 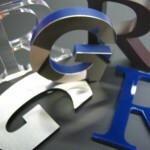 Bugden Signs is pleased to offer Gemini Letters. 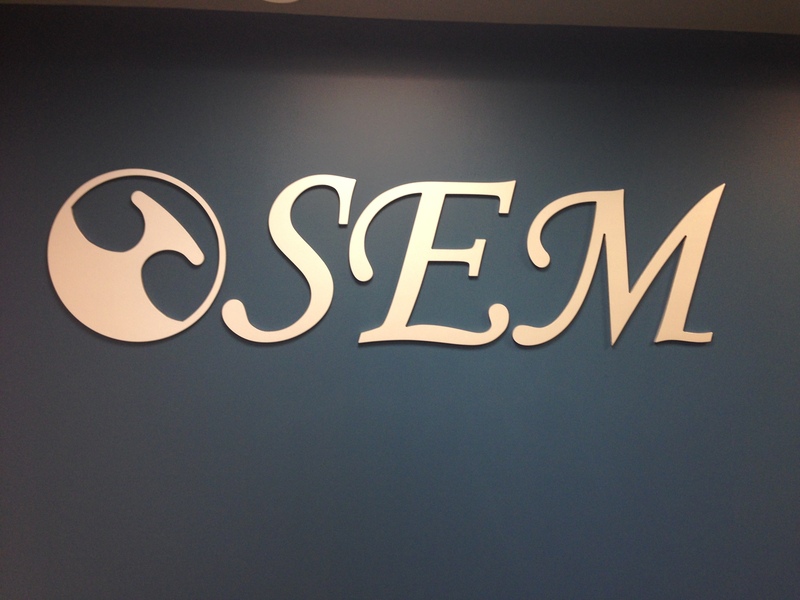 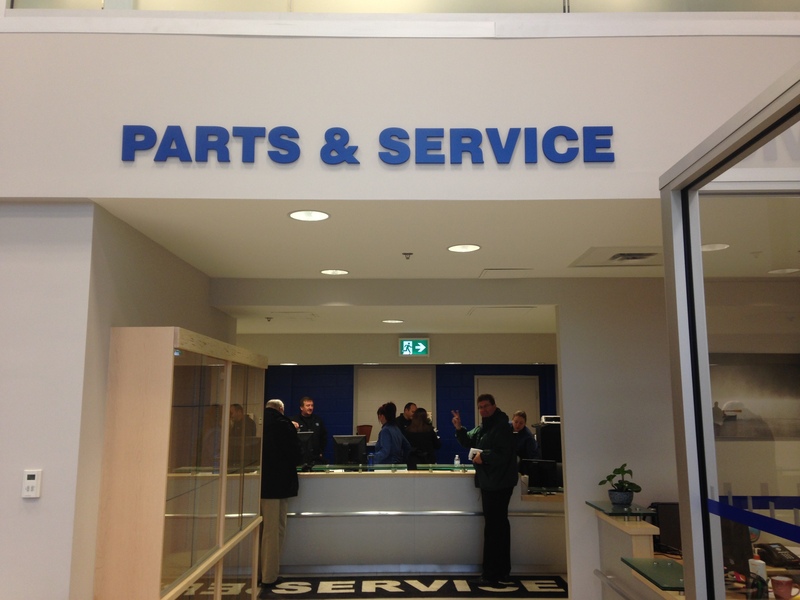 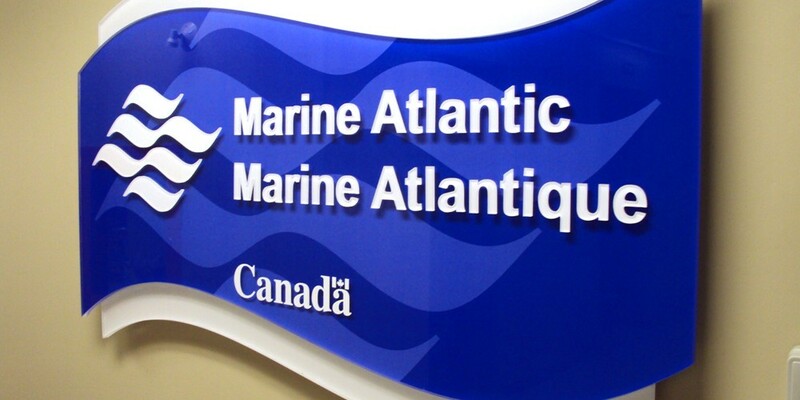 Gemini products are produced by the world’s largest manufacturer of plastic and metal dimensional sign letters. 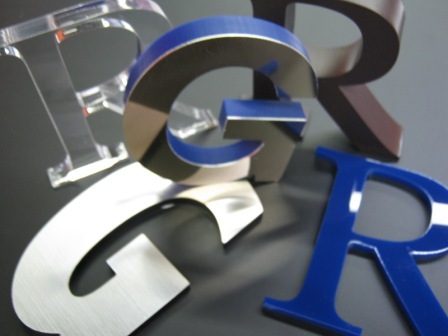 They carry plastic letters (injection molded plastic letters, formed plastic letters, and cut acrylic letters). 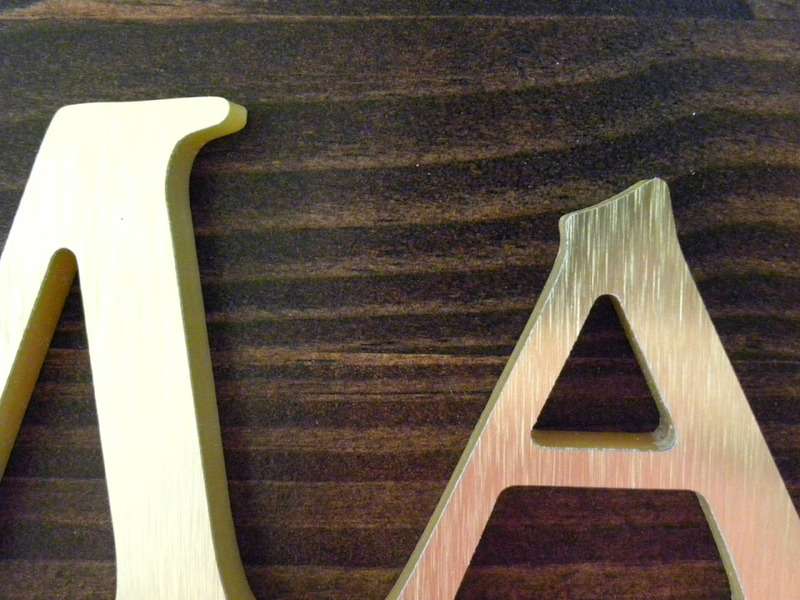 Fine ornate metal letters (both flat cut metal and cast metal) are available in a variety of styles and finishes such as aluminum, brass, bronze, copper, hot rolled steel, stainless steel, and baked enamel.